Baseball was different during World War II. How different was it? Well, did you know that in 1943, the Phillies played a stunning 43 doubleheaders? And that eight of them were split gates, with one game at 10 a.m. and the other at 7 p.m. for the benefit of war workers on swing shifts? That’s just one of the tidbits included in Larry Shenk‘s latest book, “The Fightin’ Phillies: 100 Years of Philadelphia Baseball from the Whiz Kids to the Misfits.” And nobody is better positioned to tell these tales than Shenk, who worked for the team for more than 50 years. 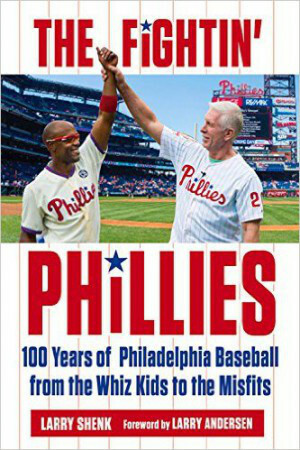 What he’s produced in his second compilation — “If These Walls Could Talk” came out in 2014 — is another relaxed stroll down memory lane, a smorgasbord of all things Phillies from an author who has had an inside look at so much of the franchise’s history.